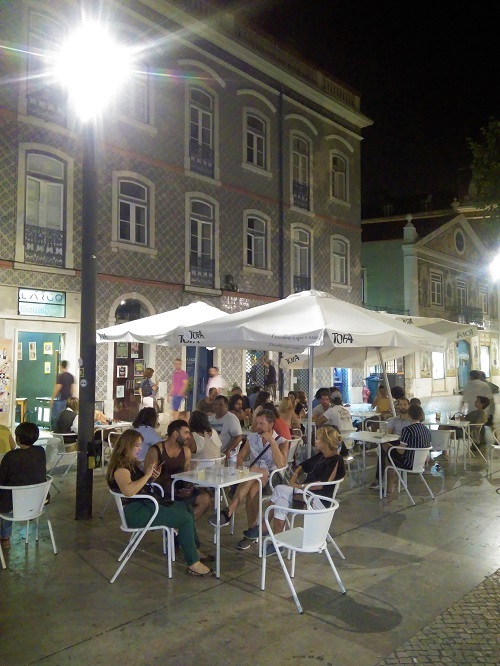 If you love historic districts, visit this wonderful Largo (square) do Intendente, area Mouraria. Formerly a place of prostitution and drugs, nowadays very popular. 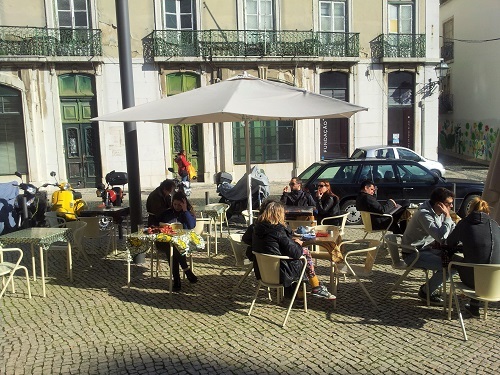 Square Largo do Intendente, located in the historical area Mouraria, was for several years a place to avoid. 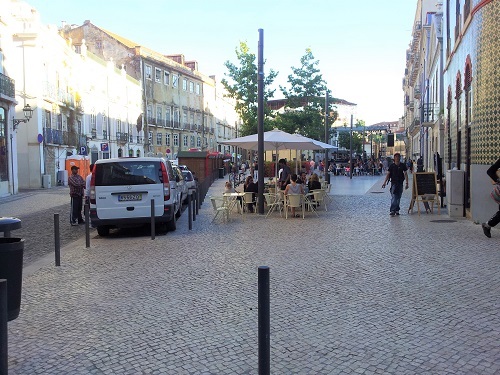 In recent years this square has really grown into a trendy place with new cafe’s, bars and restaurants. Beautiful historic buildings, f.i. the Pombaline style, a Portuguese architectural style of the 18th century. Gary Nairn: “Josephine Bar & Bistro was opened in June 2014. 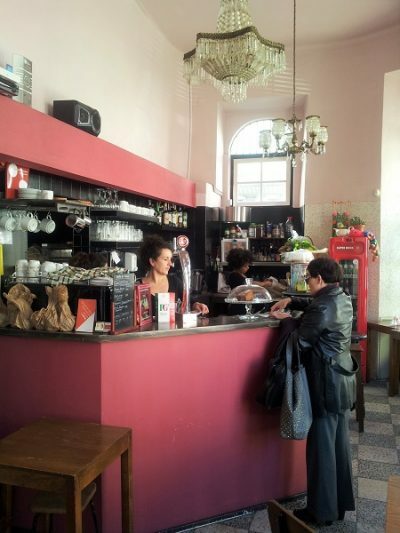 Set on a corner building at the opening of the square Intendente, it brings an ambience typical of a French bistro . But its owner Marie Odile Coudert, a French native, says it has influences from all over. Being well travelled , she has also lived in the Netherlands for nearly 10 years. 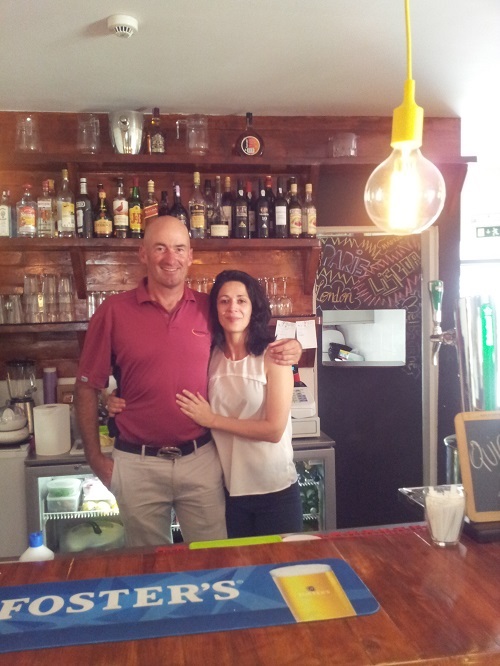 She prefers to call ‘Josephine’ a Portuguese bistro with an international touch”. 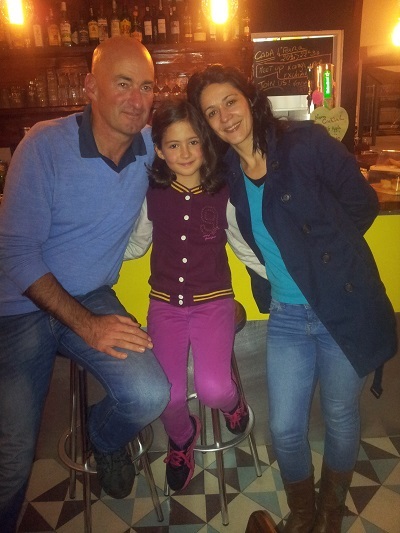 Gary: ” In Bistro “Josephine’ you can find at lunchtime (till 18:00) all the local basics like the traditional Portuguese sandwich, the Prego or a Bifana (pork) as well as a sturdy “Melbourne Burger “, a choice of salads and not forgetting the daily menu. For evening a range of Quiches and all prepared as well by the French chef”. The Prego is the most popular garlic steak sandwich in the Portuguese cuisine for many years. The Portuguese eat the prego’s (literally: nails, referring to the full stomach after eating one with mustard or piri-piri). Owner Marie Odile: “What we wanted, was to create an atmosphere that would complement what was in the surrounding area. 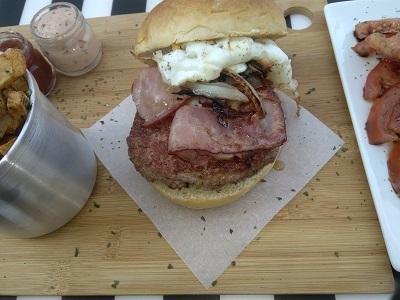 A place where you could eat simple food, hamburgers, steaks, chef quality, service orientated but at a normal price. We moved to this area nearly 4 years ago and fell in love with it, there have been many changes. 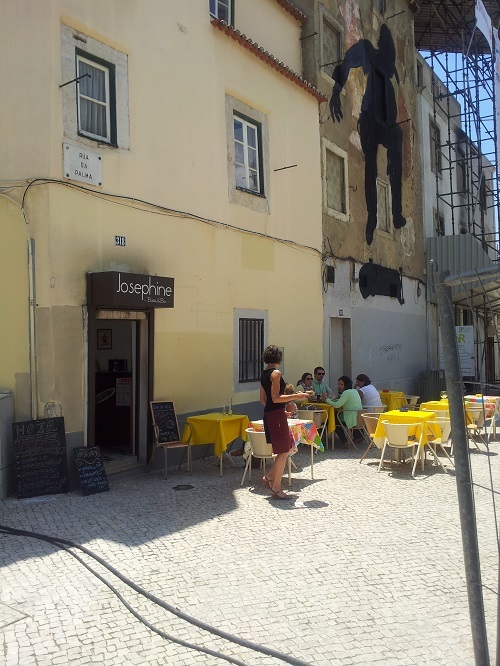 Starting ‘Josephine‘ was an opportunity to be part of it all to leave my own little mark in Largo do Intendente”. 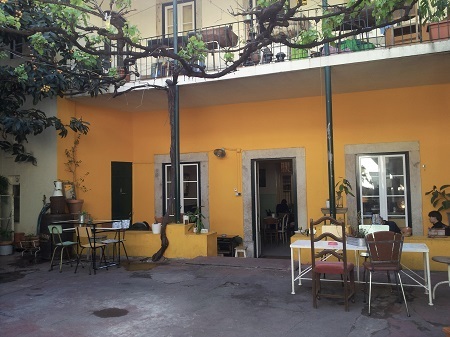 The Casa Independente is an artistic project idealized by Inês Valdez and Patrícia Craveiro Lopes. 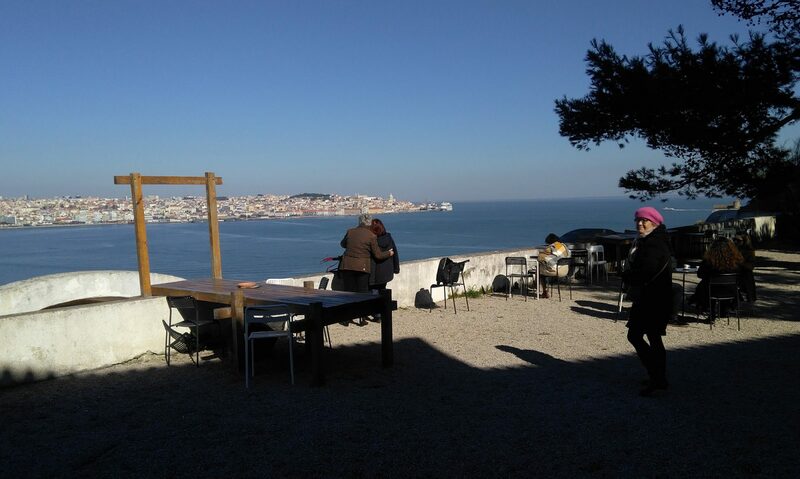 Activities like concerts, exhibitions, ateliers, artistic residences, recitals and soirees. Casa Independente, Largo Intendente 45. Website, Facebook. 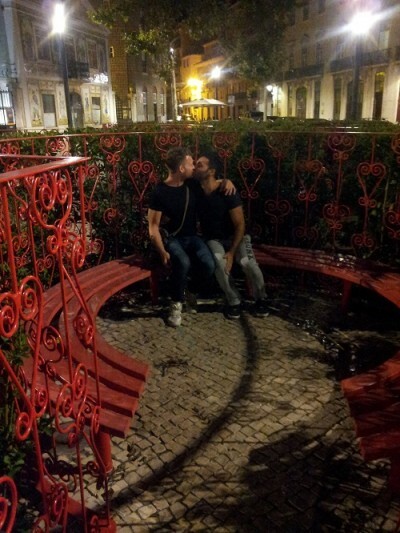 At the center of the square, there’s a wonderful wrought-iron sculpture created by local artist Joana Vasconcelos serving as a small garden, while the buildings surrounding it were renovated to house new residents and projects. 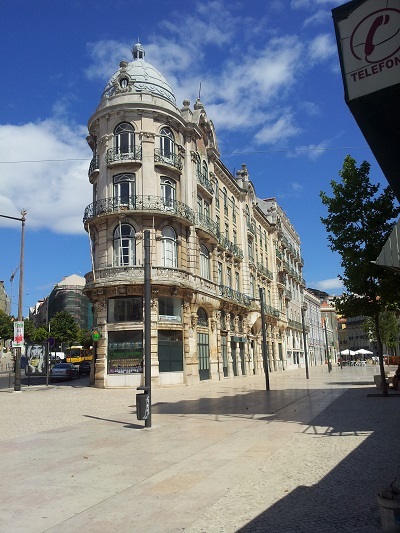 The building next to vintage shop ‘A Vida Portuguesa’ was covered with beautiful tile panels in 1865. 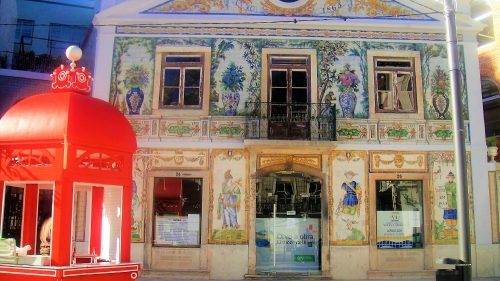 The romantic images on the façade include potted plants and Asians recalling Portugal’s trade with the East. 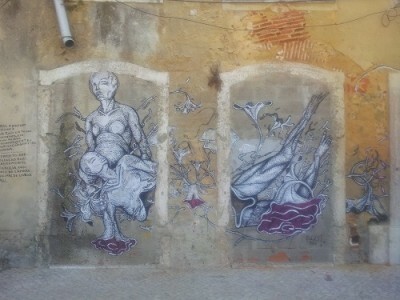 Square Largo do Intendente: wonderful street art! 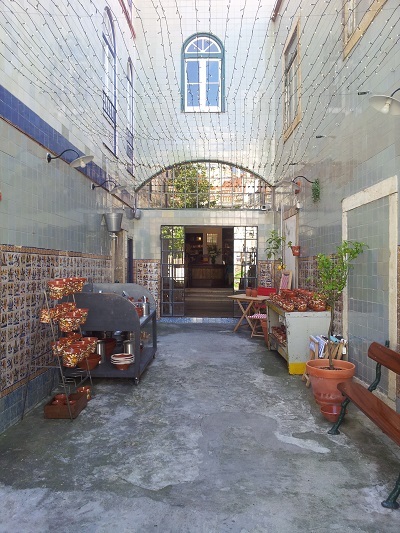 There’s much more streetart to admire in Lisbon..
Jean Marc vient de nous adresser l’article bien illustré présentant ton “bistrot” de Lisbonne. Nous avons été contents de découvrir de manière détaillée ton nouveau lieu de vie et d’activité et de te voir en photo avec Gary. Nous admirons ton parcours si varié et ton dynamisme. Nous voyons que vous vous plaisez à Lisbonne. C’est une ville si attachante où nous avons séjourné et visité plusieurs fois professionnellement ou en touristes. Bises amicales de nous deux. Je suis tres fier de ton parcourt. j’etais a Riberac et j’ai vue Maman et Jean Marc.